Don't just read this comic - hear it! Rok Comics is proud to present its first audio-enhanced comic, featuring a full soundtrack that brings the story added life and excitement! Meet Team M.O.B.I.L.E... the undesirables, the no-hopers, misfits… the teenagers who don’t fit in, who flunk every school test and often end up on the wrong side of the law. But these teens have a secret – they are secret agents for a mysterious international organisationorganisation – the Mindmerge Organisation Bureau – International Law Enforcement. 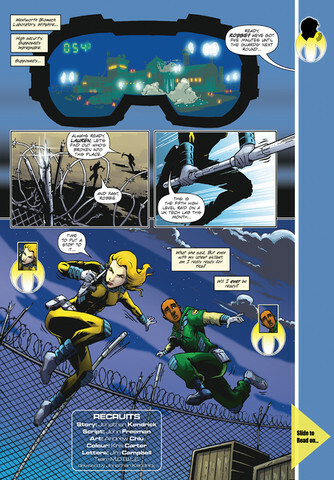 Selected using secret tests, they're gifted with skills to tackle any threat to the world, anywhere and any time! 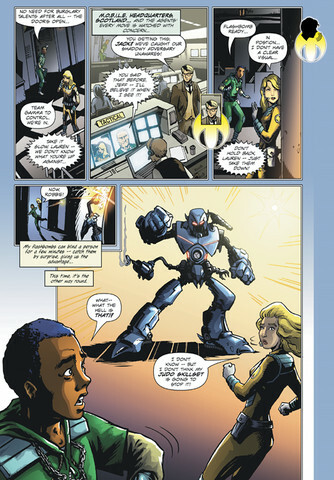 In this first adventure, meet two new recruits who are thrown into a dangerous world as M.O.B.I.L.E goes head to head with its most dangerous foe yet, the Cyboks - robots with a sinister purpose that spells bad news for all humankind! Team M.O.B.I.L.E. is a Rok Comcs production brought to you by creator Jonathan Kendrick, John Freeman (script), Andrew Chiu (art), Kris Carter (colour) and Jim Campbell (letters), backed by a full UK-US voice cast and soundtrack! 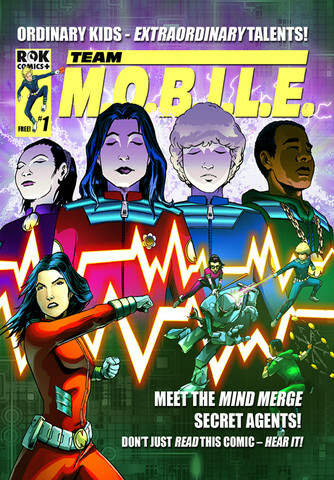 - Background feature on the world of Team M.O.B.I.L.E.